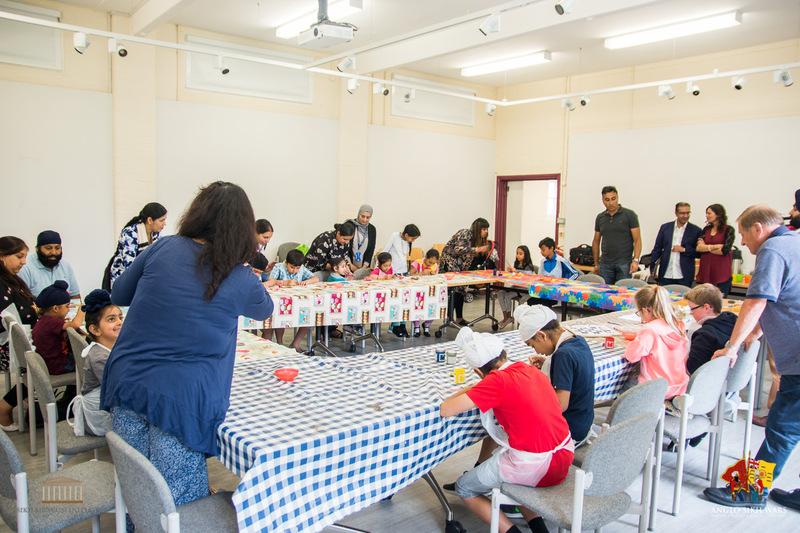 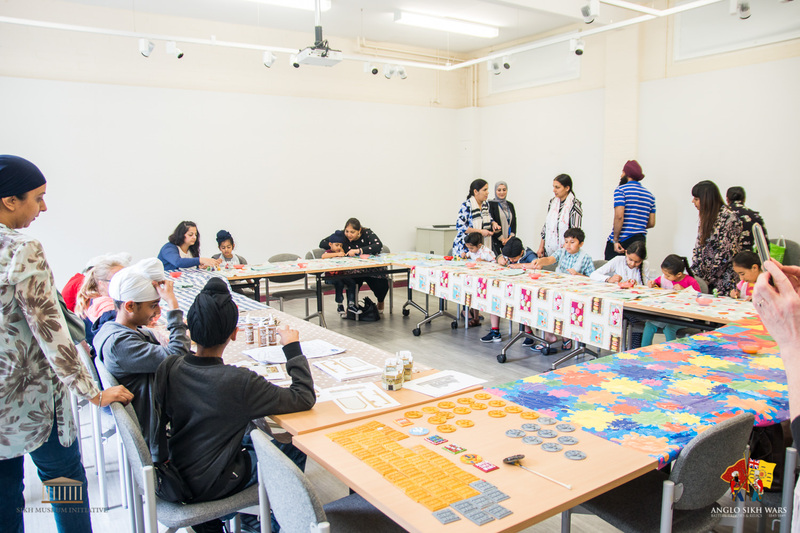 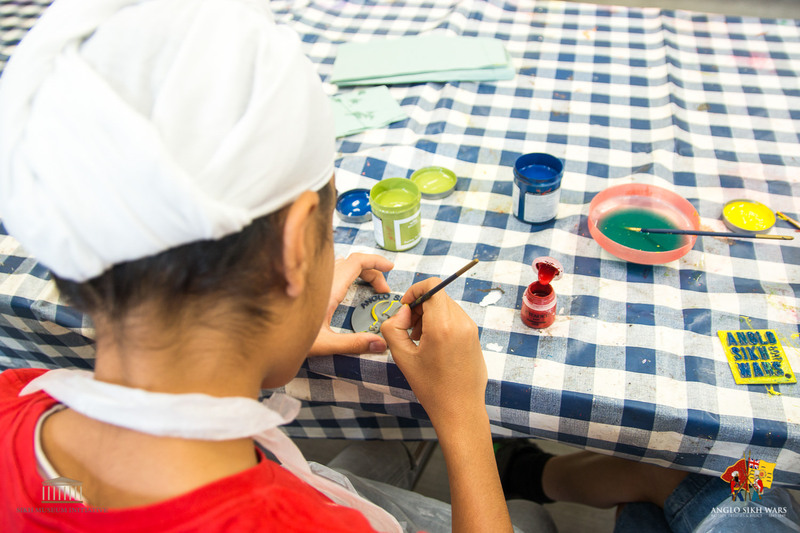 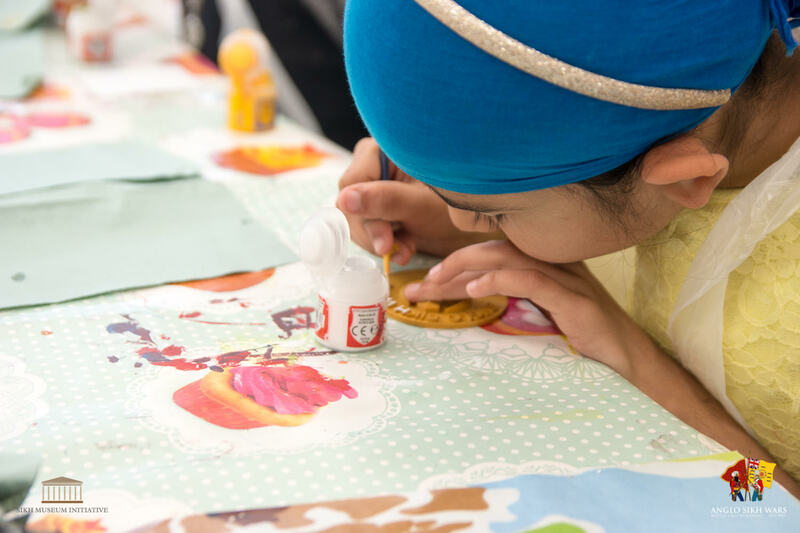 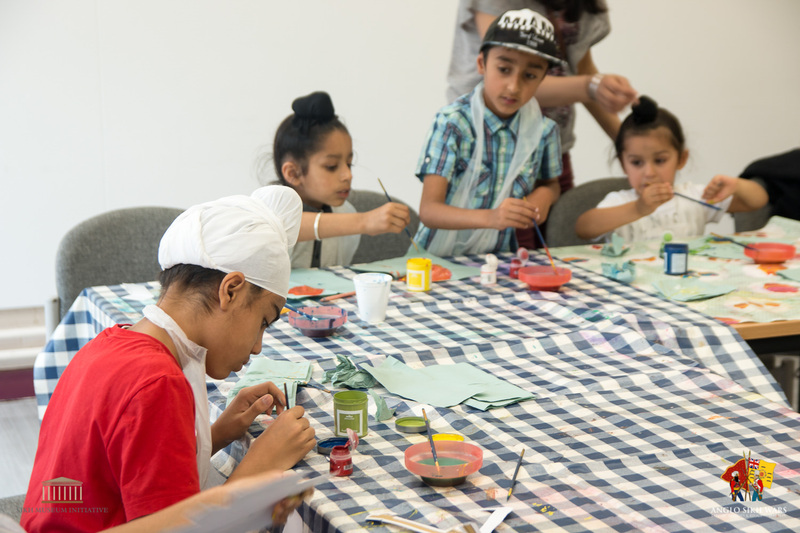 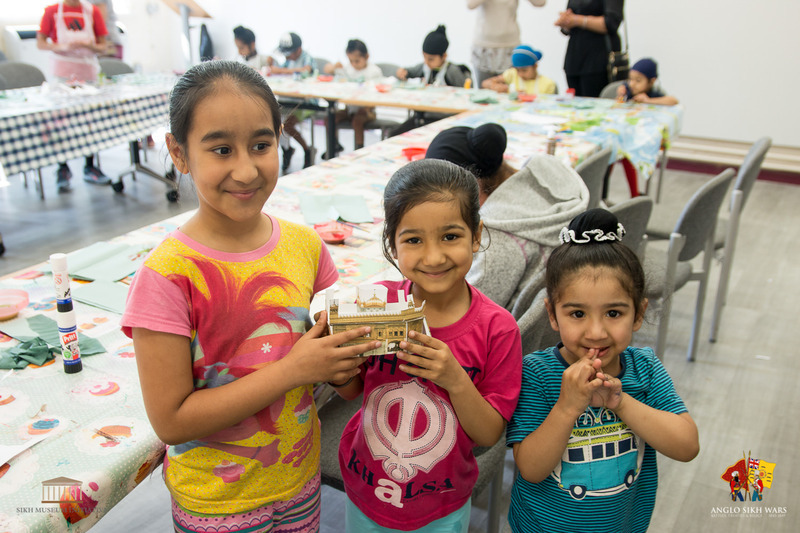 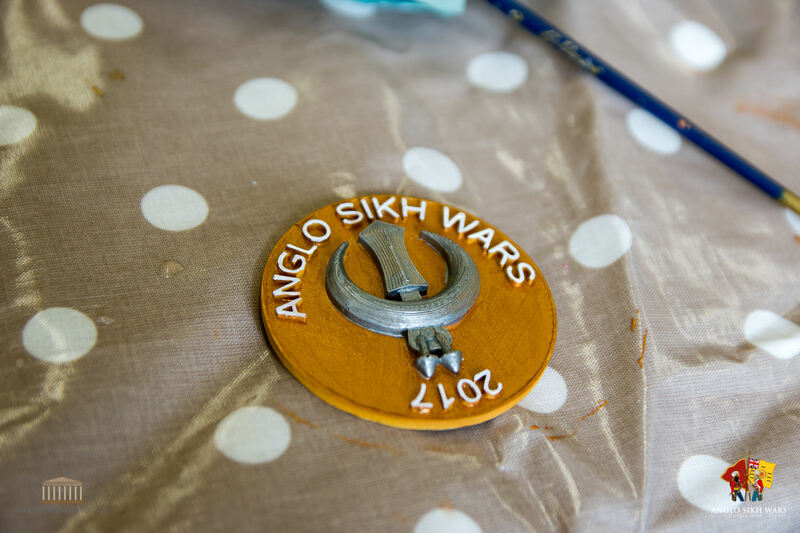 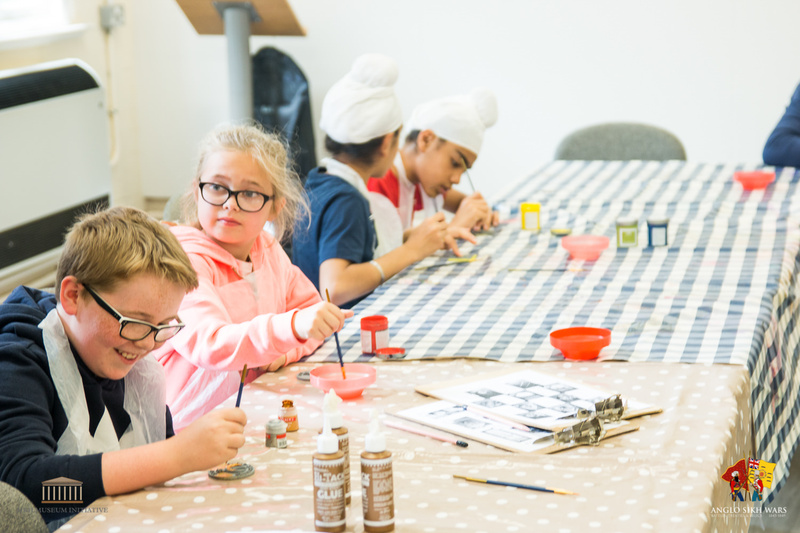 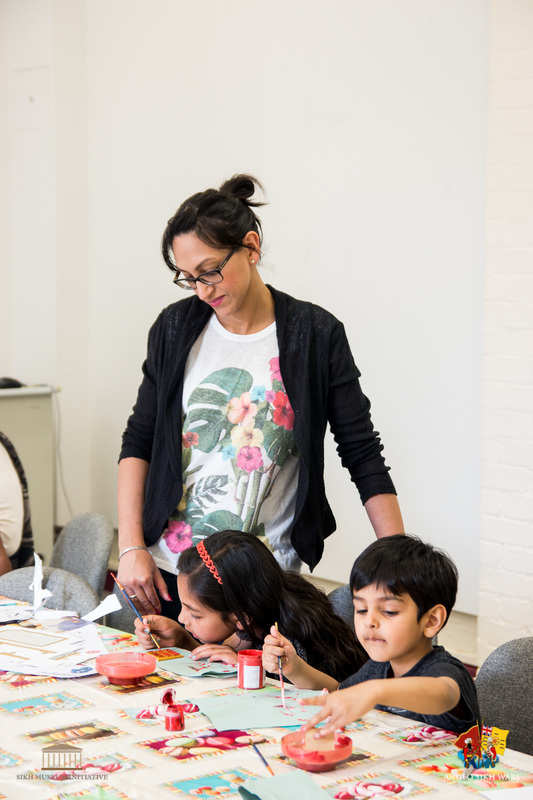 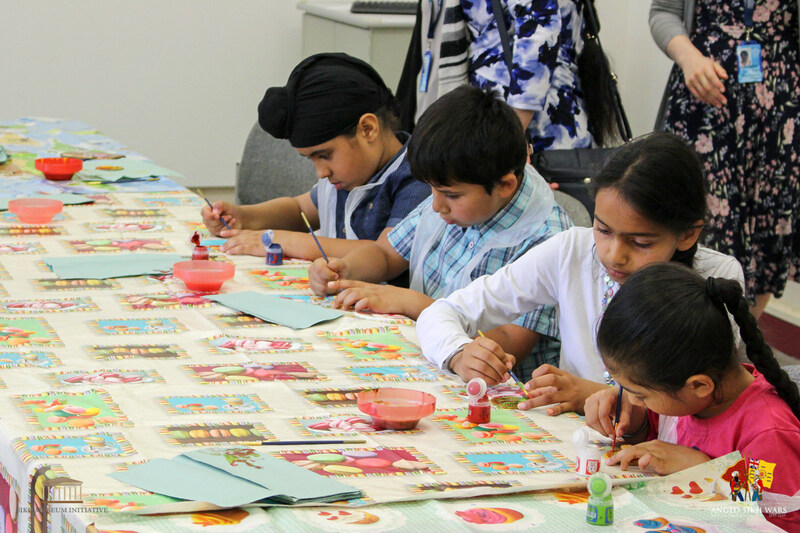 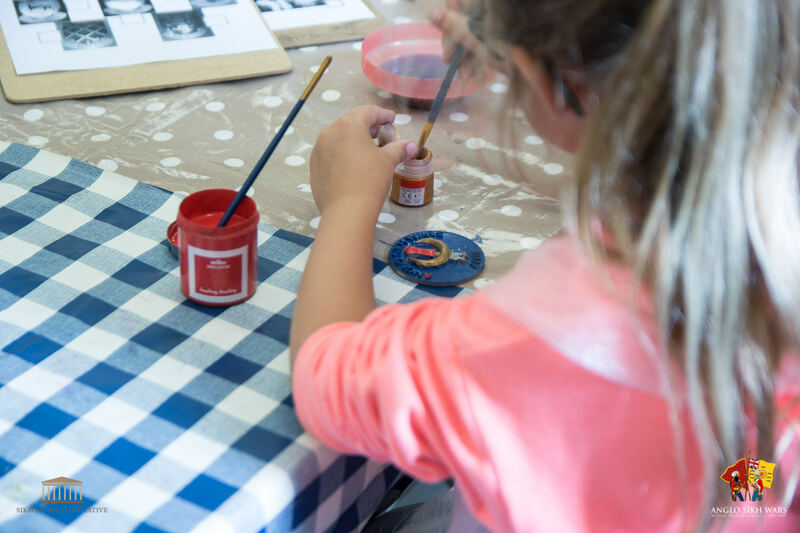 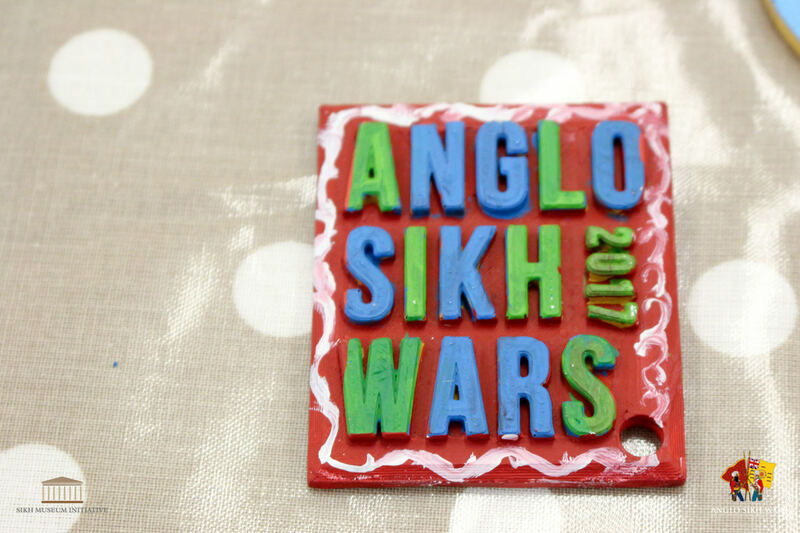 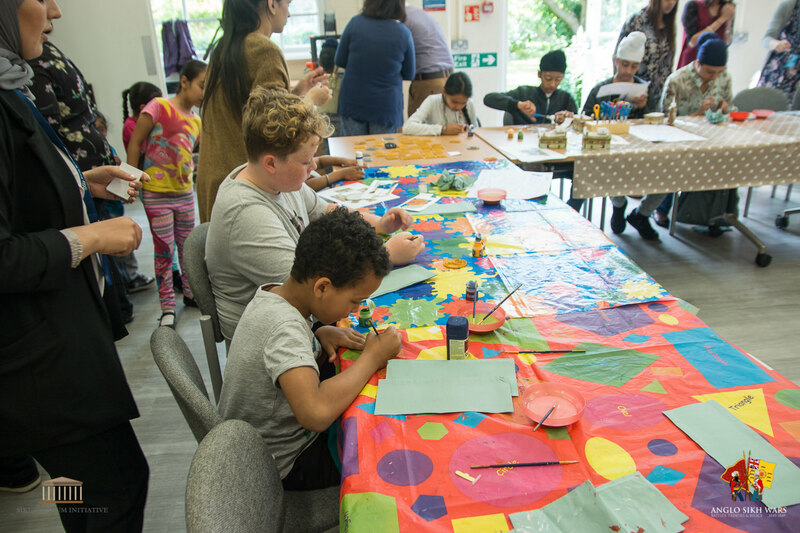 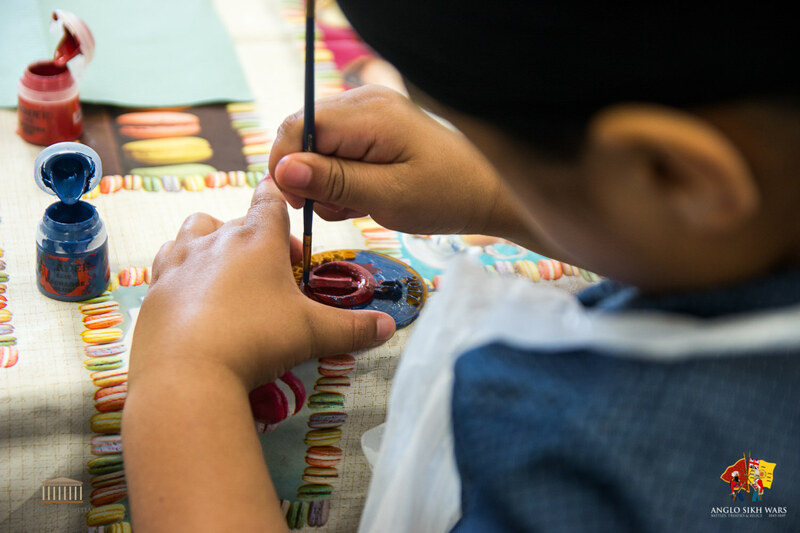 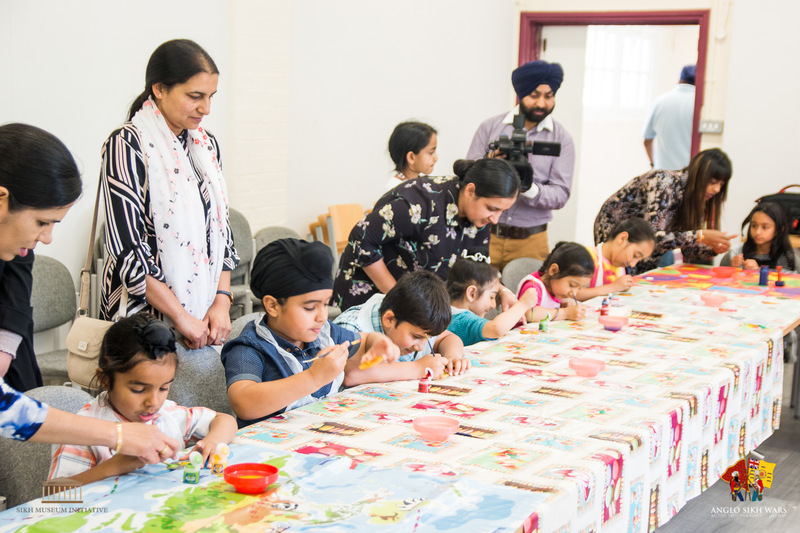 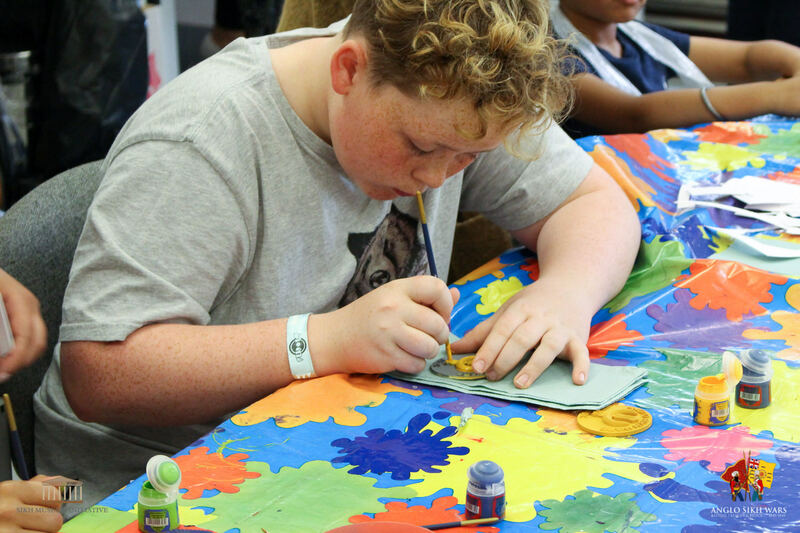 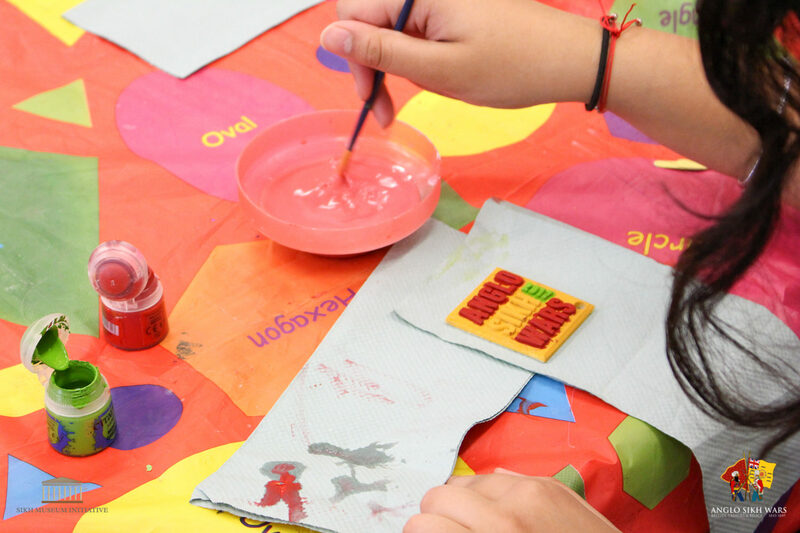 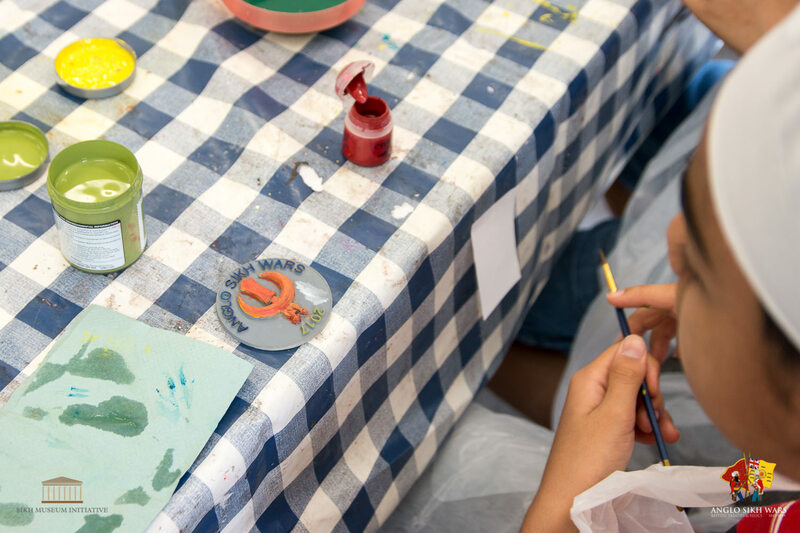 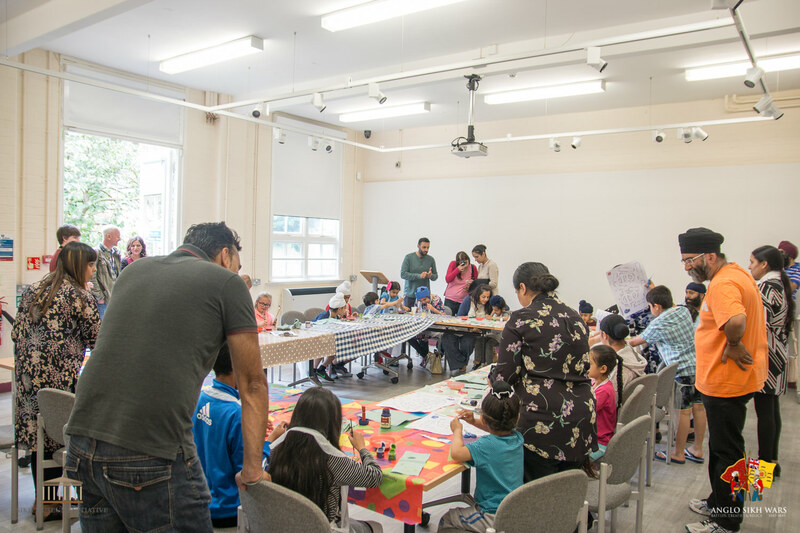 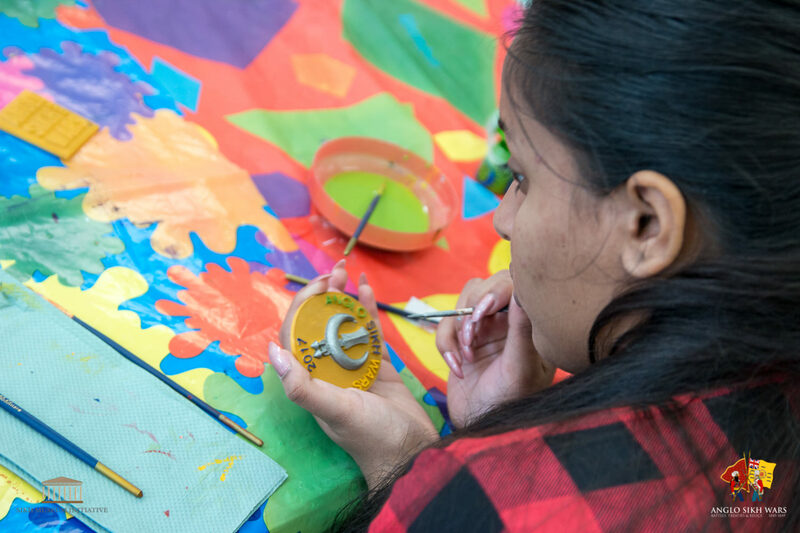 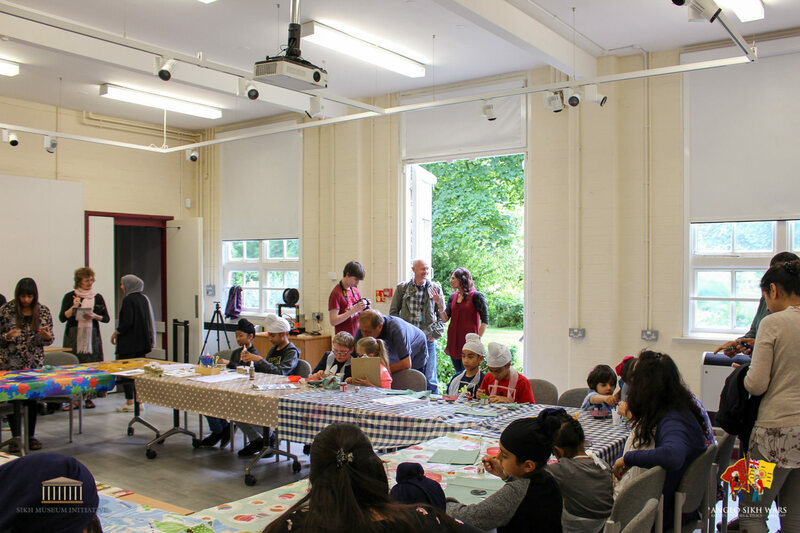 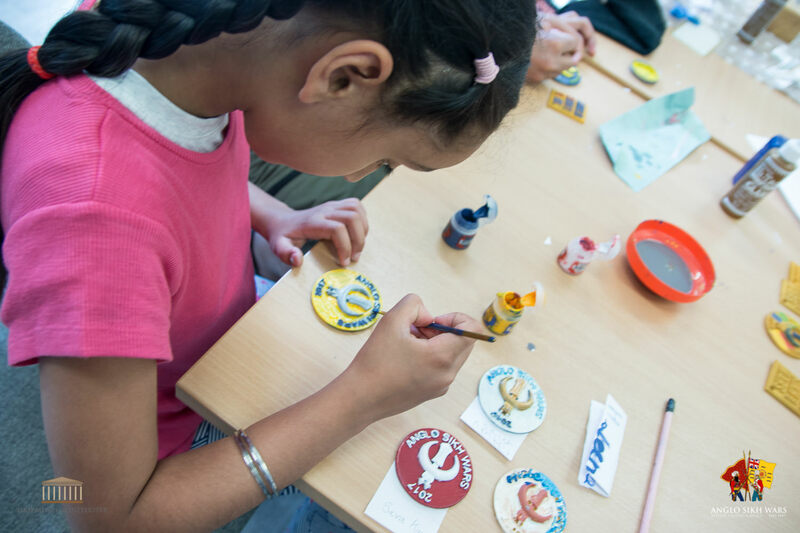 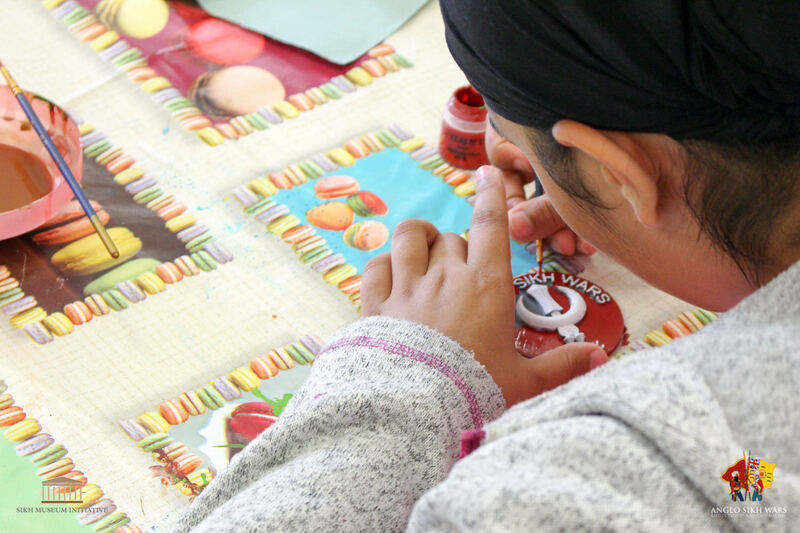 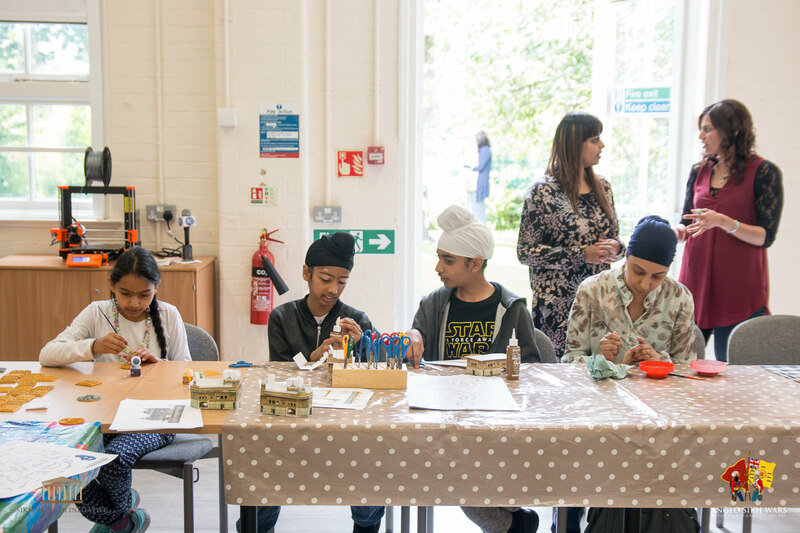 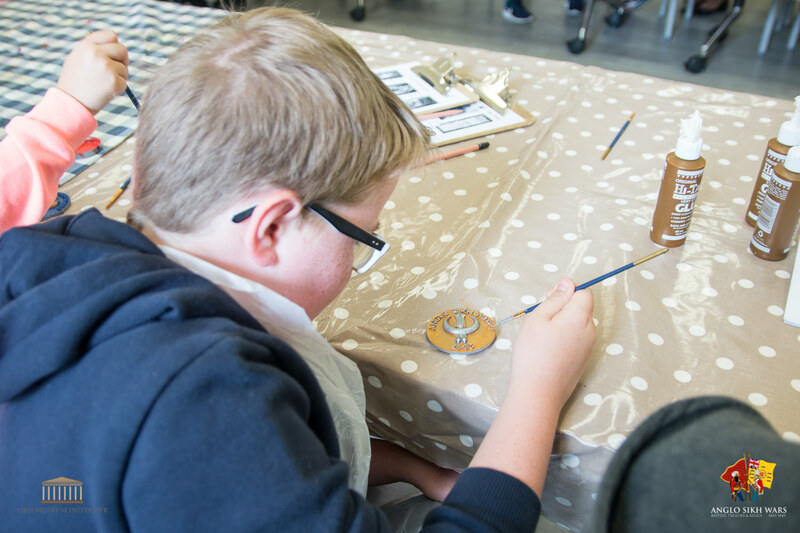 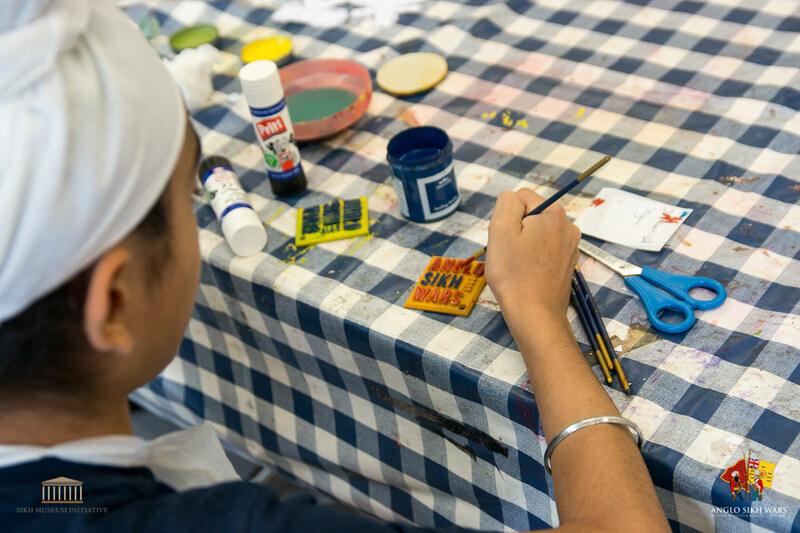 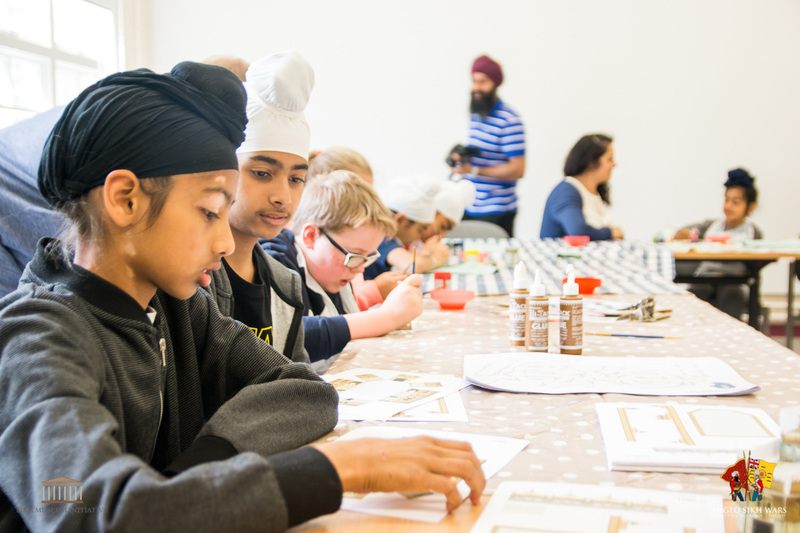 As part of the Anglo Sikh Wars exhibition project in 2017, we offered three days of creative craft activities and workshops. 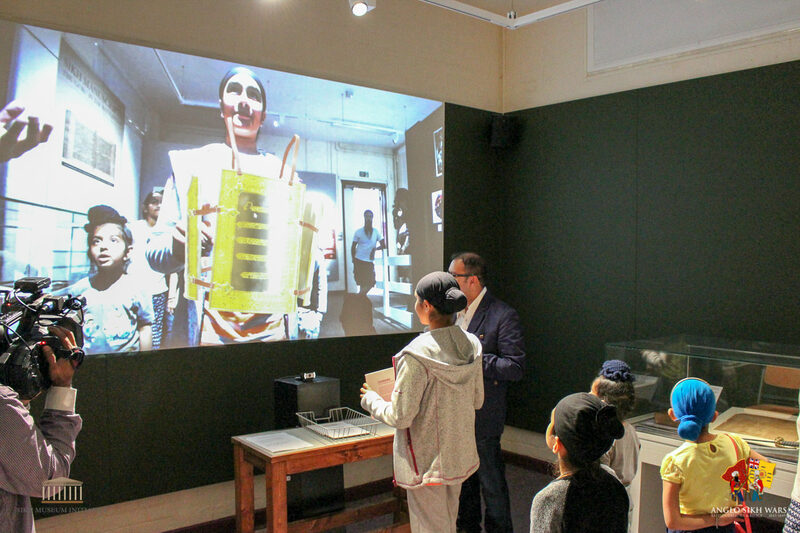 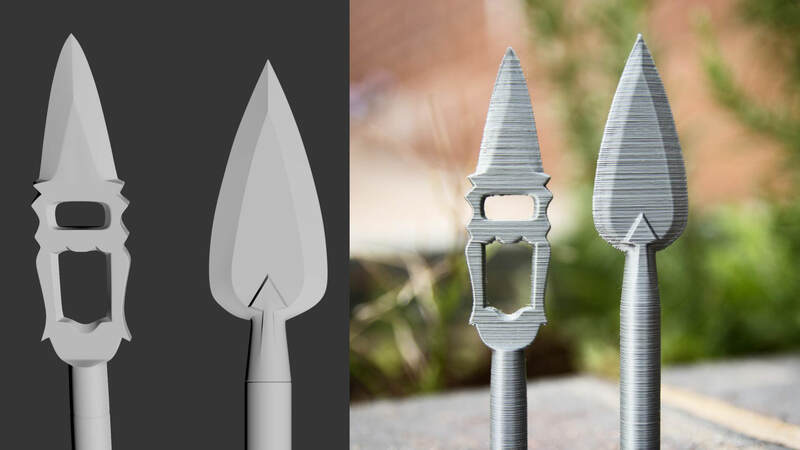 We thought that the final workshop would be a great opportunity to share some of the 3D technology that we had been utilising as part of our in-house artefact digitisation project. 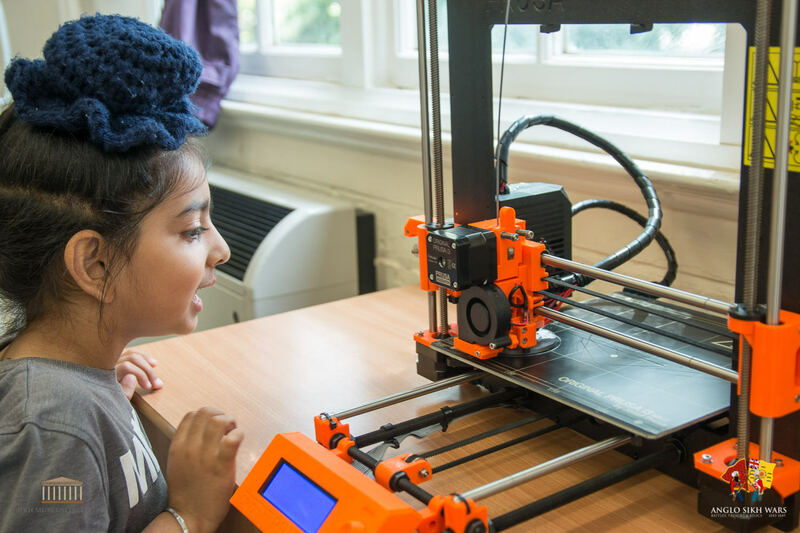 The aim was to get children interested in emerging 3D technologies like rapid prototyping and 3D printing. 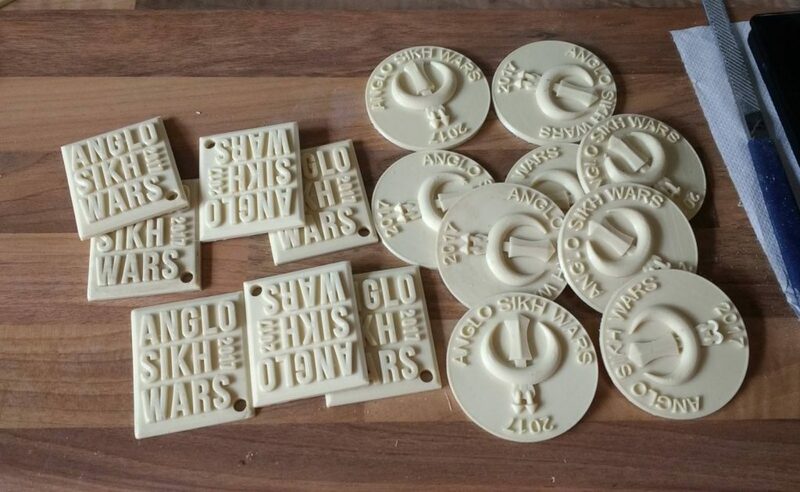 thought it would be great opportunity to showcase to the children how 3D printers can be used to produce original objects or recreate lost relics. 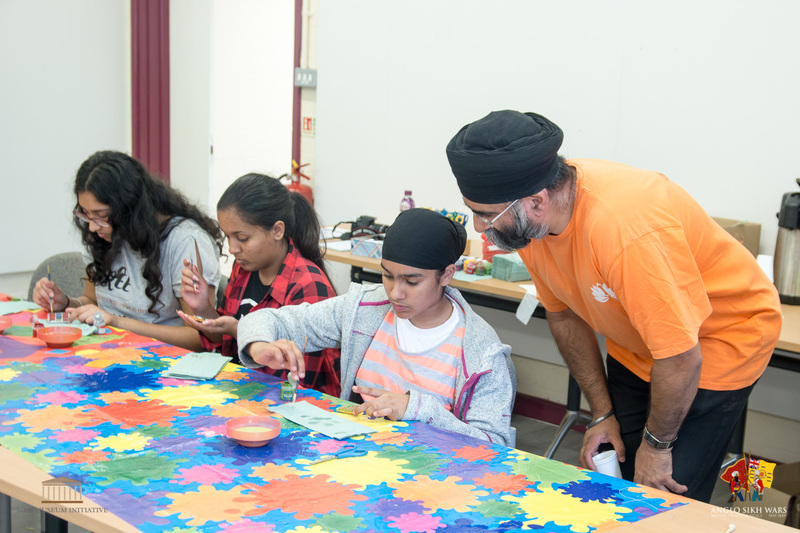 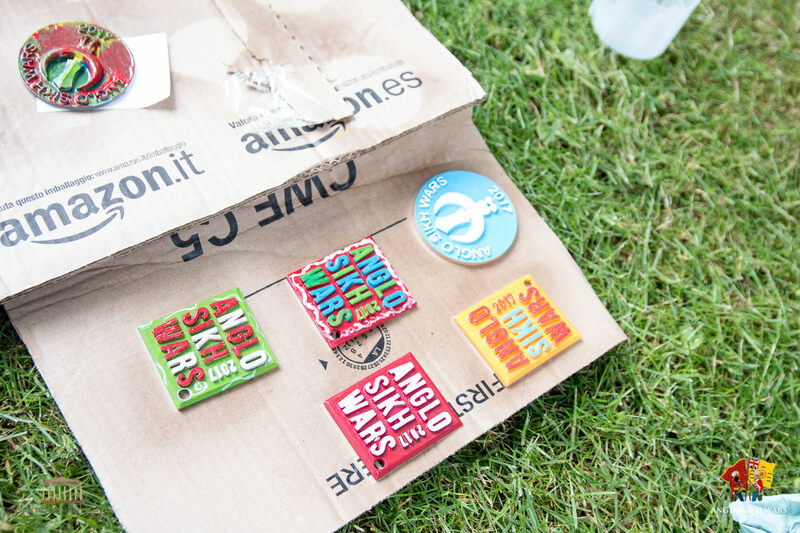 The SMI team also wanted to give the children something they could take away with them. 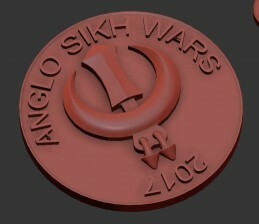 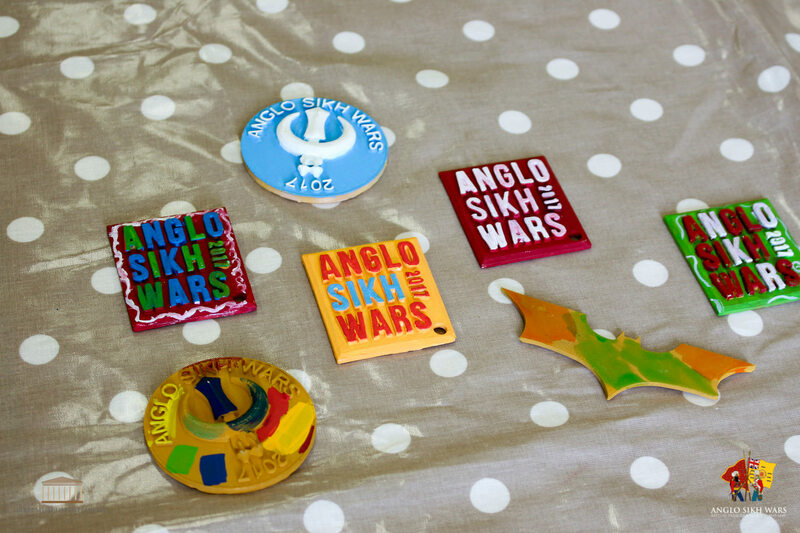 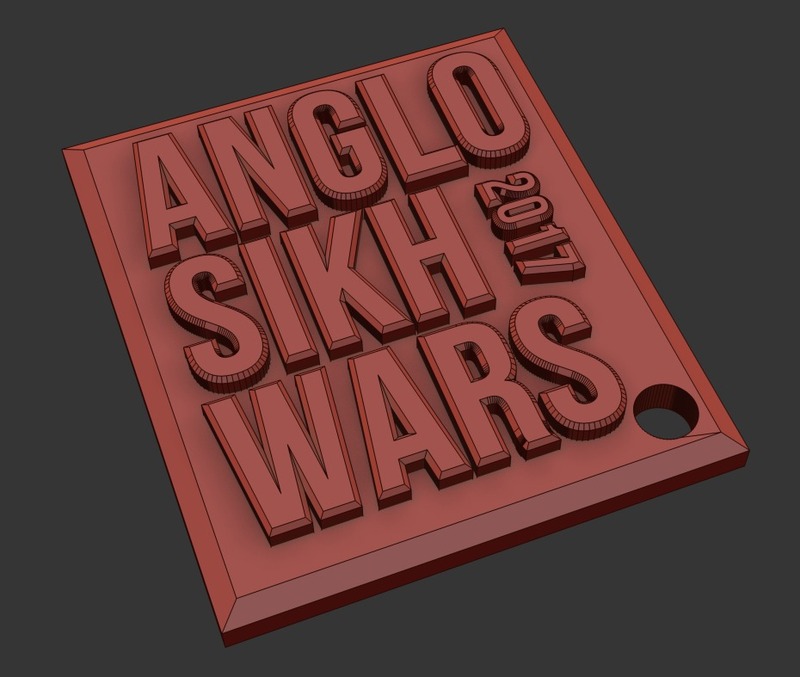 I designed and printed two keyring medal designs for the Anglo Sikh Wars exhibition that children could paint and take away with them as a souvenir. 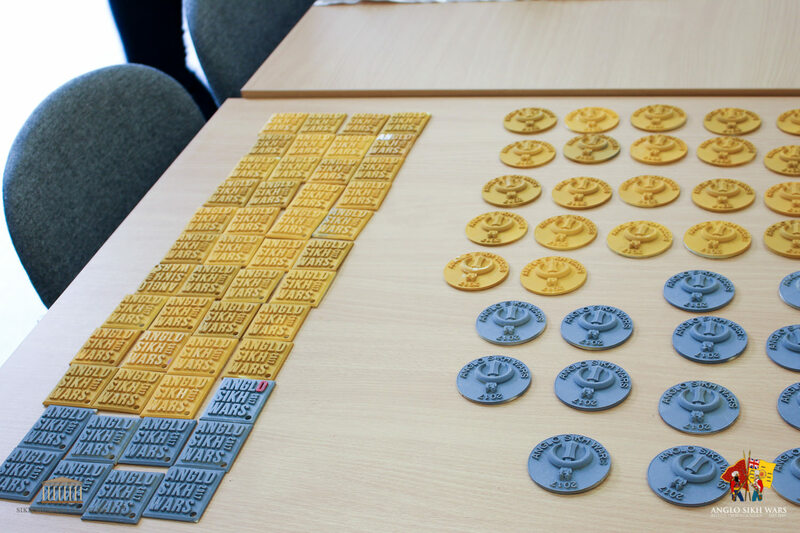 It would have taken too long to 3D print 100 medals, so I decided to create the copies of the medal using casting techniques. 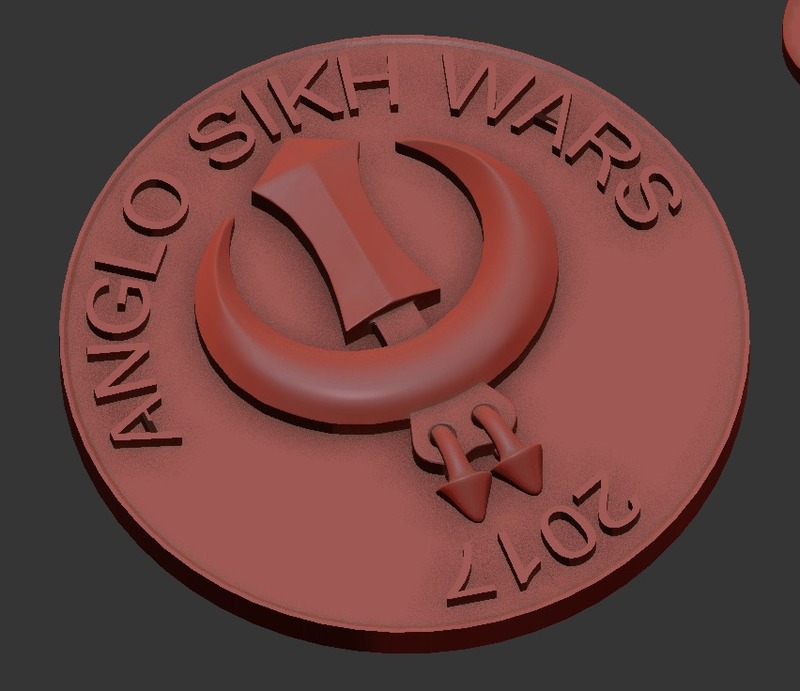 I immersed the 3D printed medal in a liquid silicone rubber which solidified over 24 hours. The silicone mould could then be used to pour in Liquid polyurethane resin which sets within 15-20 minutes and turns into a solid plastic . 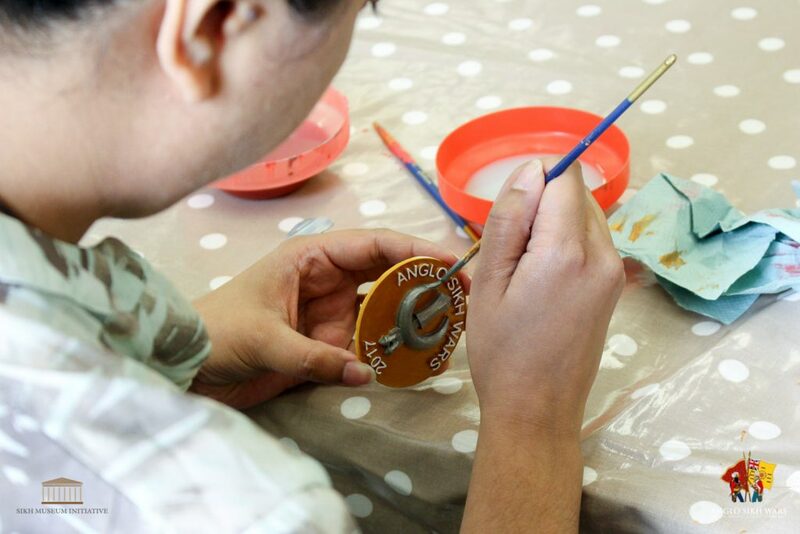 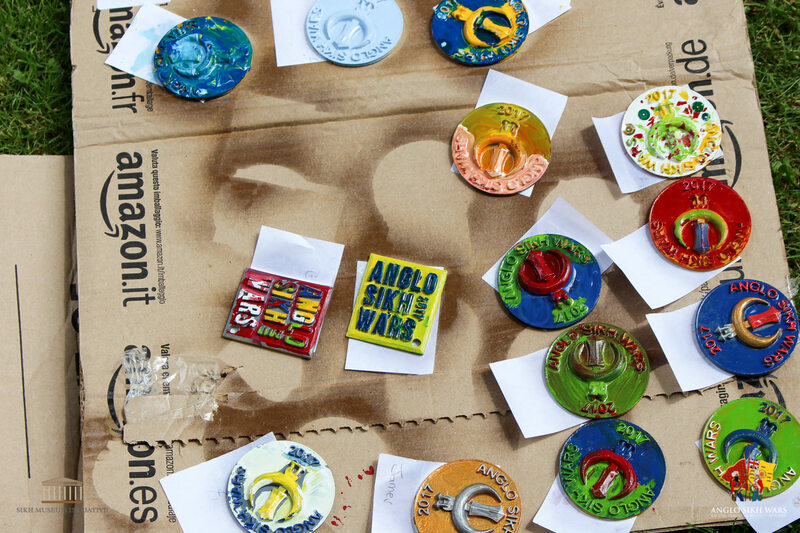 The resin cast copies were then cleaned up and primed ready to be painted by the children attending the workshop. 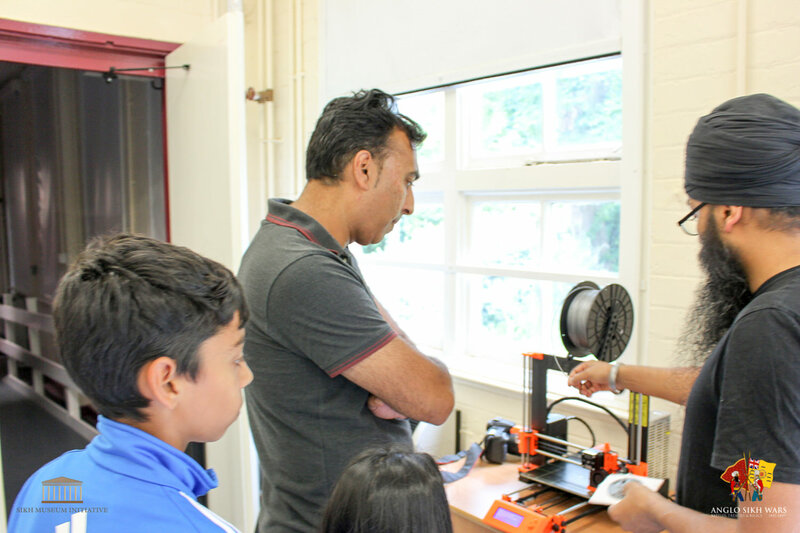 During the workshop the children were able to see the 3D printer in action. 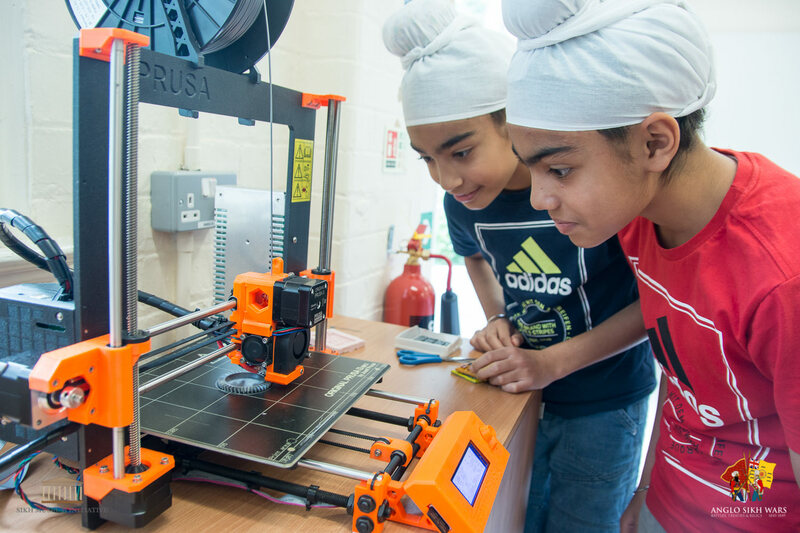 They learnt about the different types of 3D printers and different materials that can be used. 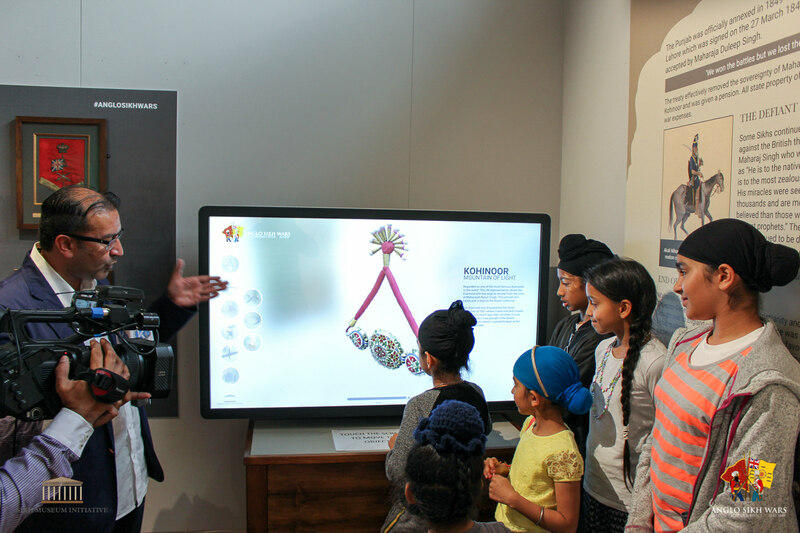 They also learnt how the technology is currently being used by enthusiasts and professionals in various industries. 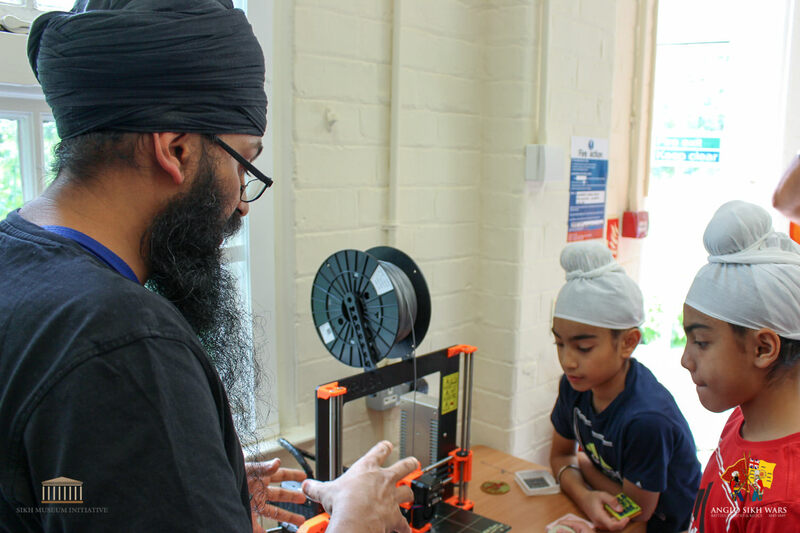 The children really enjoyed the workshop and were fascinated by the 3D printer. 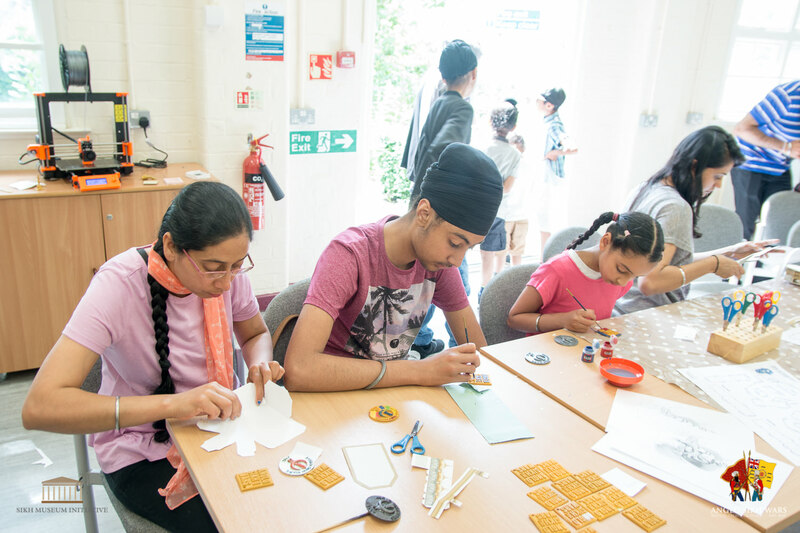 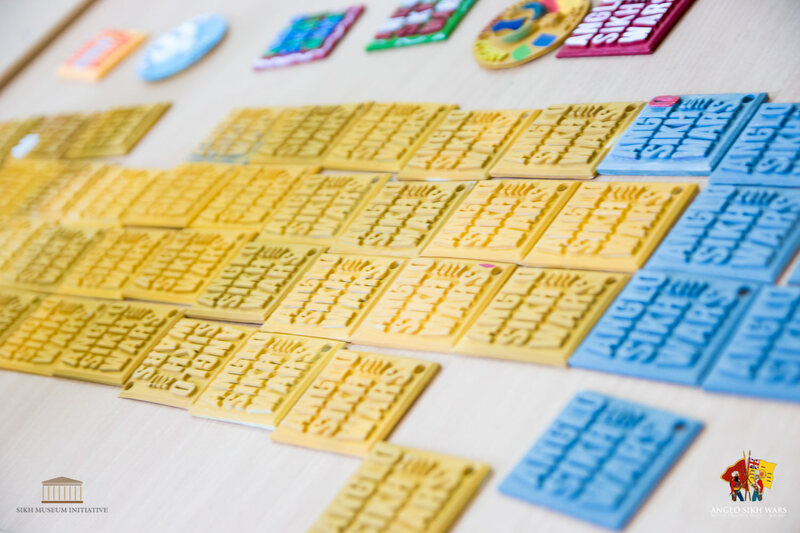 In addition to the 3D printing, the children present had a chance to try out some paper craft activities by creating 3D paper models of the Harimandir Sahib, Amritsar and the first letter of the Punjabi alphabet which is available to download here and here. The children really enjoyed the workshop and were fascinated by the 3D printer. 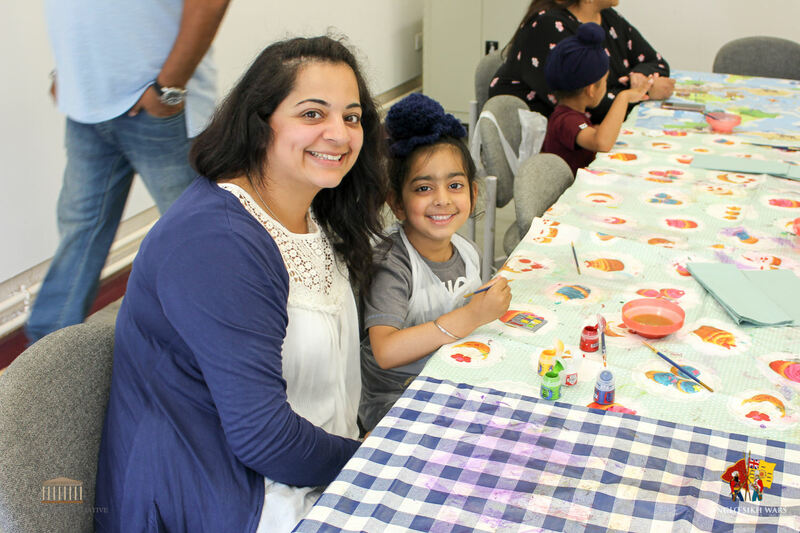 Here are some of the comments we received from families who participated in the event.